Catalan Spanish sculptor, ceramicist and painter Joan Miró i Ferrà was born in Barcelona on April 20, 1893. He was an artist whose works are full of colors and almost child-like wonder. 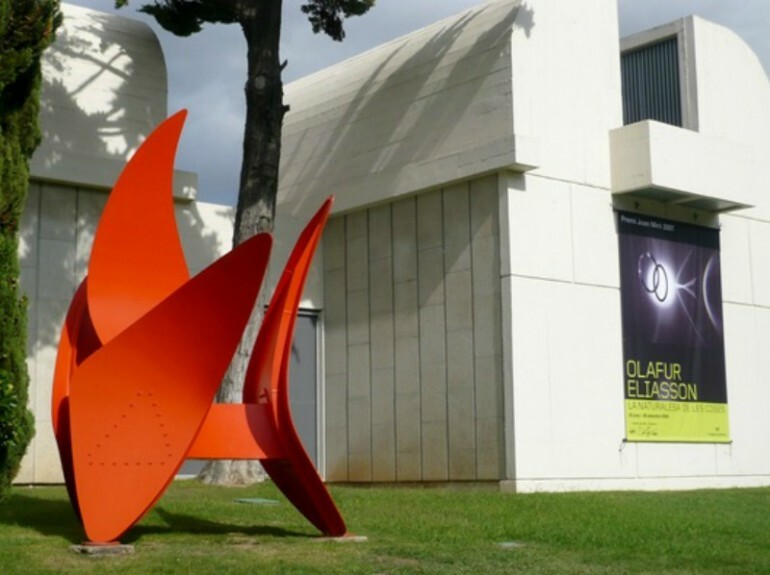 Several of his works are at the Fundació Joan Miró in Barcelona while some are housed at Fundació Pilar i Joan Miró in Palma de Mallorca. Miró was a surrealist artist and his works tease the subconscious. It showcased his pride of being a Catalan. He had always been contemptuous of bourgeois society and had said numerous times that he wanted to assassinate painting by upsetting the visual elements that are traditionally included in paintings of old. He started taking drawing lessons when he was seven years old at a private school. He was 25 when he had his first solo exhibition, which did not go well because his creations were defaced and ridiculed. In 1920 he became inspired by Surrealist and Cubist works and moved to Paris, going back to Catalonia only for the summer. As a young man, Miró went to art school and business school and he started out as a clerk but a nervous breakdown caused him to concentrate on art rather than business. His early works were inspired by Paul Cezanne and Vincent van Gogh, and scholars called it the Catalan Fauvist period of his career. One of his first works when he moved to Paris was “The Farm” that showed he had already developed his own individual style with a hint of nationalism. The first buyer of that particular work of Miró was Ernest Hemingway. Two other Surrealist paintings of Miró are “The Tilled Field” and “Catalan Landscape” or The Hunter. Four years after he’d moved to Paris, he joined the Surrealist group, fitting very well with the community as his paintings already had the poetic and symbolic elements as well as the contradictions and dualities that the group espoused. He found focus, which was absent in his earlier works and started experimenting with collage and how to do away with frames for his paintings. However, Miró did not completely remove a subject in his work. His work process was methodical, starting from his sketches. He maintained a language that was schematic and symbolic and very rarely did he create works that were non-objective. A trip to Holland showed in his representational style during the mid-1920s, with his works showing influences from Jan Steen and Hendrik Martenszoon Sorgh, which brought back the minimalistic dream-like paintings evident in his earlier works. Pierre Matisse was instrumental in bringing Miró to American audiences especially when he opened his New York art gallery where he often exhibited Miró’s works. When Germany invaded France, Miró was barely able to flee to Spain. While in Spain, he created 23 gouache series called Constellations, which had celestial symbolism as the central theme. This series inspired André Breton to write poems that were inspired and named after the famous series, which had the moon, birds and women as subjects. Through his association with several artists, Miró was able to work in different artistic formats, media and styles. He was asked by André Breton in 1959 to represent Spain in an exhibition about Surrealism, where his works were displayed together with the works of Eugenio Granell, Salvador Dalí and Enrique Tábara. He did a series of ceramics and sculptures for the Maeght Foundation garden in France in 1964. What was truly lamentable was the loss of one of his valuable works, a 1974 tapestry he collaborated with Catalan artist Josep Royo to produce for the World Trade Center in the city of New York. It was lost during the attacks on September 11, 2001. They also did another tapestry in 1977, which was exhibited in the National Gallery in Washington. His large-scale mixed media sculpture called “The Sun, the Moon and One Star” that was later given the name Miró’s Chicago was unveiled in 1981. It is located at the downtown Loop area in the city. The Milwaukee Art Museum has the bronze model of this outdoor sculpture. 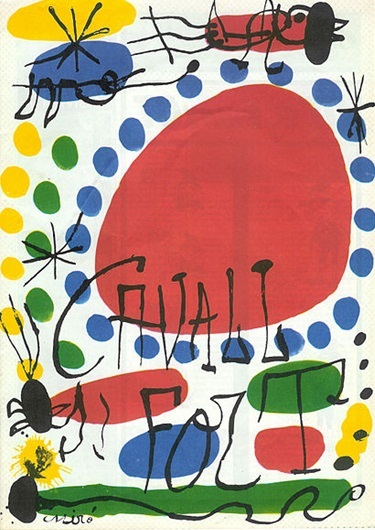 Miró also did more than 250 illustrated books, called collectively as “Livres d’ Artiste.” The dreamy quality of his style, his use of colors and seemingly random objects were very well suited for his lithographs, which a critic found very powerful.